In August, AN speculated that a super skinny, supertall tower was coming to Brooklyn. 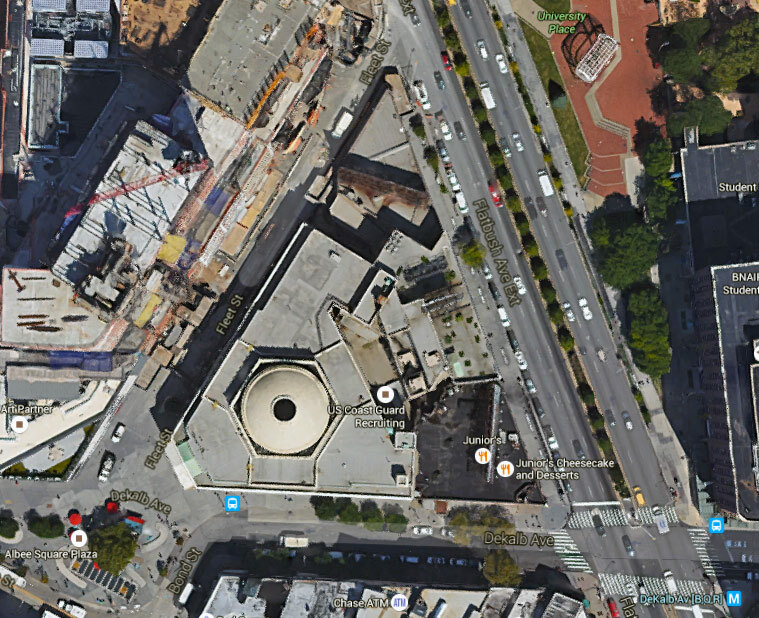 Now, real estate watchblog YIMBY has uncovered a design by SHoP Architects for the 90-story, 1,000-foot-tall tower slated for Downtown Brooklyn. The tower, at 340 Flatbush Avenue Extension, will have 550 residential units and 140,000 square feet of commercial space. A representative from SHoP, however, stated that the “current rendering circulating is preliminary and outdated. We cannot provide additional material at this moment.” The project’s tentative completion date is set for early 2019. JDS Development is financing the project. Sound familiar? 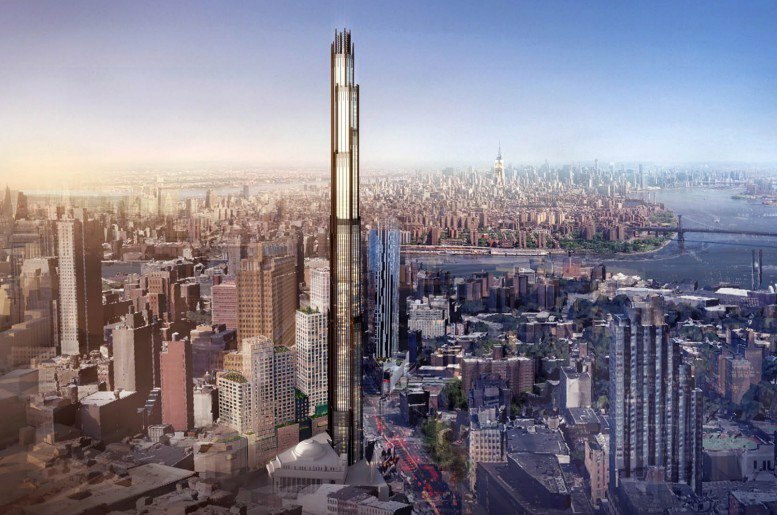 SHoP and JDS partnership are currently collaborating on the 1,428-foot-tall condominium tower rising at 111 West 57th Street. Two important structures share the same block. The (landmarked) Dime Savings Bank, at 9 Dekalb Avenue, was purchased for $90 million from JP Morgan Chase as part of the development package. The bank will be incorporated into the scheme of the structure, though SHoP has not revealed how this will happen. The other structure, Junior’s restaurant, sits at the prow of Flatbush and Dekalb, but cheesecake fans can relax: after turning down a $45 million offer from an unnamed developer last year, the owners are unlikely to accept a buyout.